In this course, students will examine the friendship and works of C.S. Lewis and J.R.R. Tolkien, and their influence upon each other. What similar ideas did Lewis and Tolkien explore? How are they similar in the exploration of these ideas? How are they different? C.S. Lewis and J.R.R. Tolkien are two of the pillars of modern fantasy, and their friendship is well known. Despite the fact that the two authors are so frequently associated with each other, however, their works are rarely examined closely together. 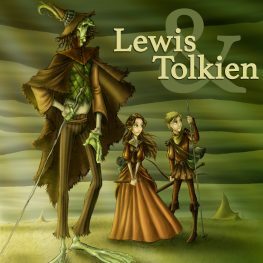 In this class, we will engage in a careful comparison of Lewis’s and Tolkien’s fiction, paying close attention to those moments when they are both exploring similar ideas or undertaking comparable literary enterprises. What do these two authors really share in common, and where do their primary differences lie?